Describe customer behaviors in the digital world. Explain the benefits of unified commerce for brands and customers. It wasn’t so long ago that the world of commerce was a linear journey where brick and mortar and ecommerce were separate, and systems and customer data weren’t shared. This process created a disconnected consumer experience. Today, brands are rethinking the consumer journey from marketing to commerce to service—how to invest in it and how to thrive in this new era. To accommodate this shift, we need unified commerce. Unified commerce means connecting the shopper’s entire commerce experience—from marketing, shopping, and personalized product recommendations to fulfillment, customer service, follow-up marketing, and retargeting. It’s more than just another way of saying “omnichannel” or “multichannel.” It’s the idea that brands must think beyond individual retail channels and beyond shopping to meet customer expectations for personalized attention, relevant product recommendations, responsive customer service, and more. Retailers are relying on technology to better serve connected consumers at every step. With retail infrastructure, architecture, and applications straining to keep pace with rapidly evolving consumer technology and behavior, unified commerce is gaining traction. Unified commerce integrates the retail process, creating a seamless experience for customers on the front end and brands on the back end. But achieving a unified commerce experience isn’t easy. From a commerce perspective, brands deal with disparate and duplicative systems, complex back-end integration, and frequent distractions from technology maintenance. Companies say they maintain an average of 39 disparate front-end systems to manage consumer engagements, so they aren’t able to innovate quickly to keep up with ever-growing consumer expectations. These brands recognize the need for a connected consumer experience. In fact, 99 percent of brands have prioritized moving to a unified customer engagement platform. Never before has it been easier for consumers to discover new brands from so many channels. A platform like Instagram that was once only “window shopping” has now made it easy to transact. Consumers go seamlessly from awareness to purchase, especially on mobile devices, with a single tap. The path to purchase will never be the same. Research shows that 80 percent of customer journeys span multiple channels. 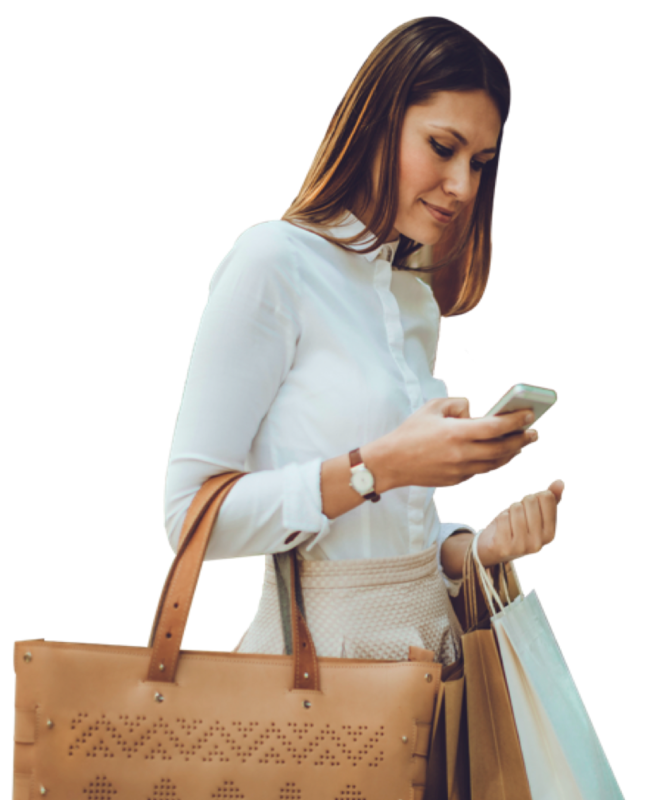 Seventy-nine percent of consumers want personalized offers based on purchase history, and 50 percent of in-store sales are influenced by digital. Service is no longer about picking up the phone or going to a store. Consumers have a multitude of channels for ordering, texting, or live chats. And artificial intelligence is supercharging consumer experience with personalization like we’ve never seen before, so brands can now acquire, transact with, and service customers from anywhere—and in a personalized way. When combined with other Salesforce clouds, Commerce Cloud becomes an integral part of the Salesforce Customer Success Platform that includes marketing, customer service, community, and more—creating a truly unified commerce experience. Together, they create a complete customer success platform that powers the entire customer journey, allowing brands to connect with shoppers effortlessly—starting with awareness and acquisition and continuing all the way through purchase, fulfillment, advocacy, and retention.